Easter Sunday afternoon has changed a lot for us over the years. Bob and I have always lived close to my parents. For the most part, we were the only of my four siblings that lived near them, and we’ve never lived close to Bob’s family. That made for fairly easy holiday celebrations. Mom and I would take turns having events at our houses. We’d flip Thanksgiving and Christmas each year, but until the kids were teenagers, we usually ended up at their house for Easter afternoon. They had a beautiful backyard on a small lake. The beach area was dotted with palm trees and citrus trees lined the edges. 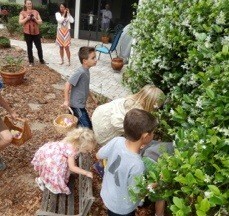 Mom loved hiding Easter eggs and the kids loved the hunt. Those times were uncomplicated. Once in a while relatives or some friends were there, but things still fell on Mom and me; and we liked it fine. My mom and I could throw together a holiday dinner with hardly a thought. We just split things in half. We each had our specialties. This Easter we met at our house. We equals Bob, me and our four kids, three spouses, six grandkids (plus one in the oven), my mom who is 86, Dad who is 90, and Bob’s dad who says he’s 92 but is really 91. That means there are five wives to cook. What a spread we could put on! What culinary masterpieces we could display. How our taste buds could be titillated! But I choose Costco, the happiest place on earth. Nothing beats picking up a spiral ham (no slicing), Hawaiian rolls, redskin potato salad and a vegetable tray. Throw in paper plates and you have yourself a perfect day. Okay, we did have homemade deviled eggs and desserts – we’re still human. It has taken me a while to be able to admit this publicly, but simply put – it’s time for me to simplify where I can. 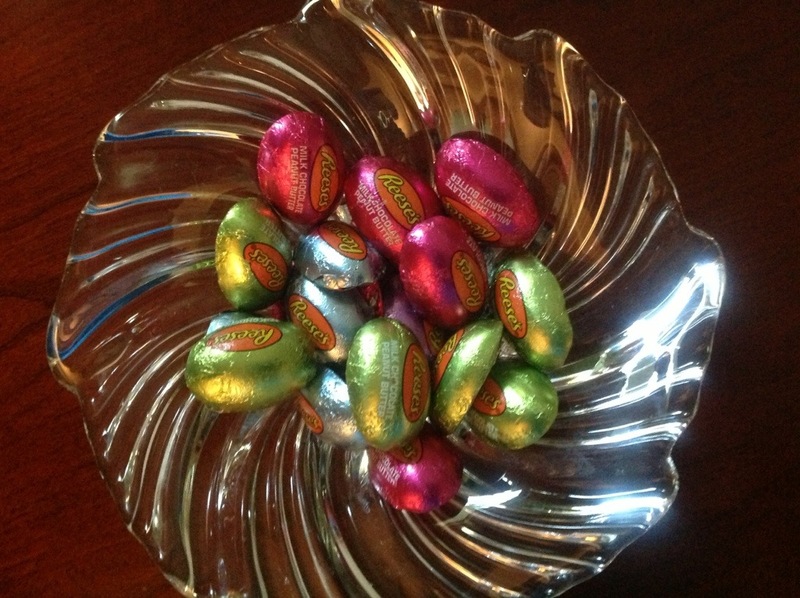 I’ll also admit that when I see Facebook posts of lovely tables set up in anticipation of Easter lunch, I feel a little guilty, but the feeling disappears as fast as a bowl full of Reese’s Peanut Butter Eggs. Those wonderful, simple days of eight of us celebrating together are gone. I love having 18.25 of us together and look forward to the number growing. The challenge for me is remembering it’s about enjoying the people, and I don’t want to be so worn out from prepping and cleaning up that I don’t get to relax and play with them. Also, our people span 90 years. That means keeping the floor clear for a walker and a wheelchair, making sure I have my dad’s favorite root beer on hand, and giving Bob’s dad some time to tell a story to his grandkids and spouses. It also means having a portacrib for the youngest with a sound machine to drown out noise, and taking some time to play a board game with the kids. 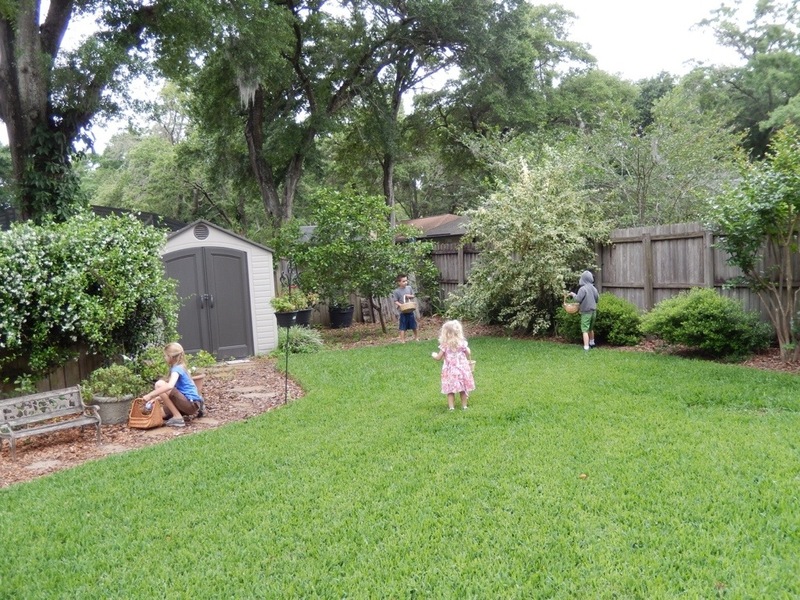 And, of course, there are always activities beyond the egg hunt in the backyard. Our oldest son is great about getting the kids outside and active. 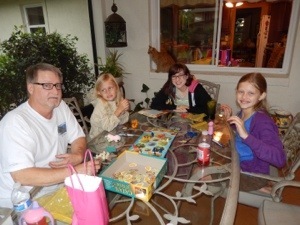 We have the added joy of our neighbors’ grandkids playing with ours – three generations of friends. We are an exhausting group, so Bob’s and my parents don’t stay as long as they used to. My mom brings bags of treats, but now they’re for her great-grandchildren. We still have the egg hunt as the Big Deal of the Day. My kids and I hide the eggs and Mom watches us. I think she loves watching the children scour the yard for treasure more than any of us. I like to observe my mom. She stores up treasures in her heart more than the kids store eggs in their baskets. I want to be like her. And let’s not forget about Jesus. I’m not sure how we went from the resurrection of our Savior to dying and hiding eggs, but I don’t want Jesus to get lost in the shuffle. When my oldest son was little, he and his buddy were into action figures. They had all the usuals and a few unusual ones. Among those were Jesus and Moses. This past week I found Jesus in the top of my closet, just in time for Easter. I handed him to my grandson. He couldn’t guess who it was and tossed him aside in favor of the Millennium Falcon. I picked Jesus up and set him on the mantel among the chicks and bunnies. He looked out-of-place, but I know better. Beautiful family, beautiful memories and Jesus in the mix. I love it!!! Thanks, Vanessa. I hope you and your family had a Jesus-filled Easter, too. God bless! 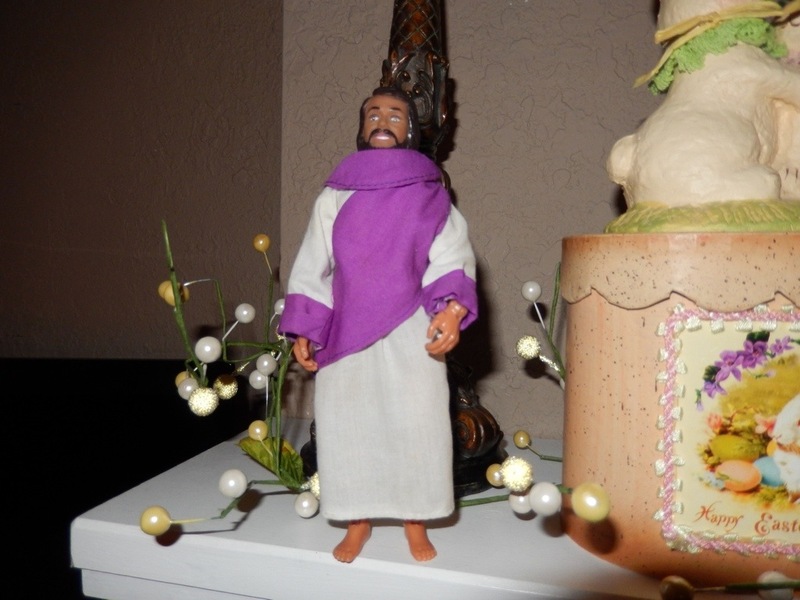 Thanks Bonnie for the reminder to store up those all important memories and a new idea of how to utilize our bobble head Jesus to find the real golden egg. Just remember to set Jesus up high, like on the mantle. After all he is risen. Good point, Bob. That’s where He is! You’re welcome, Moggie. I love your sentence with “bobble head Jesus and real golden egg” in it. You don’t see those words together often! Lol! Bob Anderson. Mom, I loved this blog. It showcased your writing as well as how good of a mom, wife, daughter, and grandmom you really are. I know you weren’t meaning to show those things but one cannot help but read between the lines and get a clear picture of how much you care for your family. This blog was transparently light and lovely. Thank you so much, Aubyron. You are such an encourager. I’m glad you’re part of our 18.25! It feels like you’ve always been part. Love you! Bonnie – in so many ways, you are like Mom – always doing for others and getting more joy out of the doing and watching them enjoy than most people would get from getting some expensie present. Wish I could have been there to partake and watch as well. Thank you, Chris. I wish you and your family had been here, too. Too many miles in between us! Ah! I thought you knew. I’m so sorry. Aubyron is pregnant. She and Joe are so excited! She’s due the end of November.